All of our great fishing programs are located in the province of Chubut, in Patagonia, Argentina. The main city which provides services to this area is Esquel (EQS). Aerolineas Argentinas is the only airline which maintains a daily flight to Esquel airport from Buenos Aires. Another option is to fly from Buenos Aires to Bariloche depending on the day and time of your arrival and departure. Bariloche has up to 5 flights per day from Buenos Aires every day of the week. The transfer time to Esquel from Bariloche is about 4 hours. There is an additional cost for us to meet you at the Bariloche airport (US $350 per vehicle which seats 3 passengers). United, American, Delta, Aerolíneas Argentinas, and LAN have non- stop service to Buenos Aires from Miami, New York, Atlanta, Dallas-Fort Worth and Houston. Your flights should be booked from your city of origin to Buenos Aires. British Airways has a direct flight from London to Buenos Aires. Buenos Aires has two airports - Ezeiza (EZE, international) and Aeroparque (AEP, domestic). Almost all international flights arrive into Ezeiza and most domestic flights in Argentina depart from Aeroparque. It is necessary to transfer by taxi or shuttle from the international airport to the domestic airport for your flight to Patagonia. Depending on the time your international flight lands, you might be able to travel directly to Patagonia on the same day. Please keep in mind that you should plan to land in Ezeiza at least 3 hours before your domestic flight. This gives you at least one hour to clear immigrations and customs, one hour to transfer between airports, and one hour ahead of your flight time to check in for your domestic flight to Patagonia. 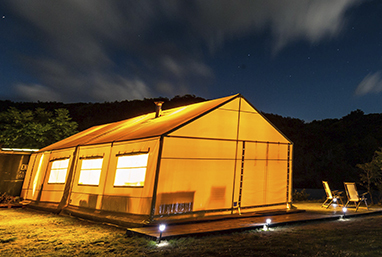 We recommend staying a night in Buenos Aires on your way down so that you arrive into Patagonia well rested and ready to start the week of fishing the following day. In either Esquel or Bariloche, one of our staff will be present to meet you for your transfer by car to the lodge. On your return, please keep in mind that the flight from Esquel lands in Aeroparque at around 4.30, so you need to plan for half an hour to claim luggage and an hour to an hour and a half to transfer to Ezeiza international airport. For flights out of Ezeiza, you need to arrive 2 to 3 hours before departure time. If you decide to stay in Buenos Aires for a night (or more), and we do recommend it, El Encuentro Fly Fishing can help you organize your stay there. We have a good network of people who can help you enjoy your time there safely. We are happy to help with any domestic flights, hotel recommendations or reservations, transfers, city guides and tours, tango shows, restaurants, etc. 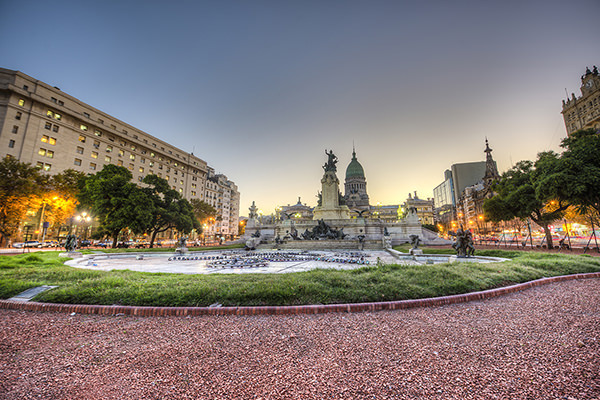 Buenos Aires is quite an incredible city with remarkable culture, architecture, entertainment, dining, polo matches, and is of course the birthplace of Tango music and dancing. It is recommended that you overnight either on the way to Patagonia or from Patagonia (or both) to enjoy a day or two in the city. You'll need to make reservations for hotels. 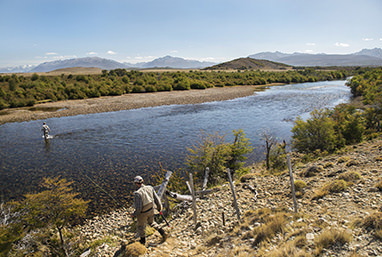 If you'd like, we can recommend either a local or an Argentina-specialized US travel agent to make all the reservations you need, and to ensure first class service and a seamless transition with El Encuentro Fly Fishing. Our agents will save you time searching and thinking about travel and also ensure that you get the absolute best prices and service. They are also easily contacted and available to help you with any travel issues you might encounter during your vacation.